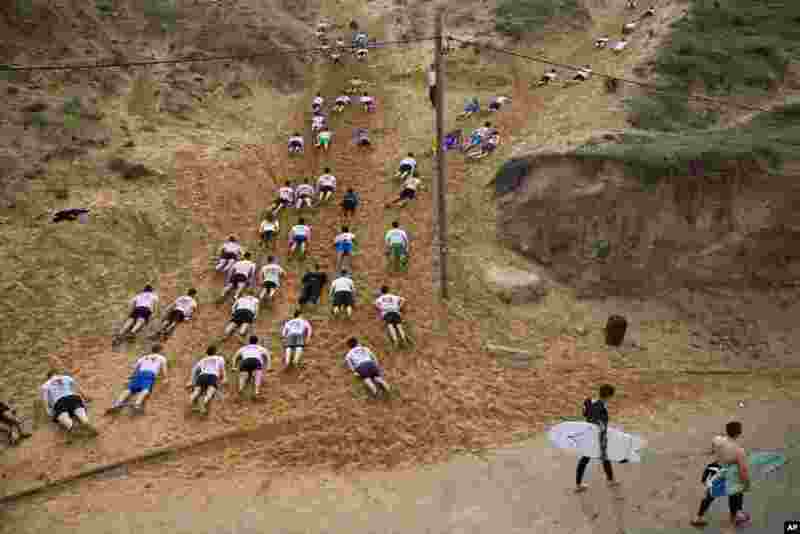 5 Two surfers walk toward the Mediterranean Sea as Israeli high-school seniors preparing to join the Israeli military later this year crawl out in sand dunes during an exercise at a privately run training camp for military combat fitness, in Herzliya, Israel. 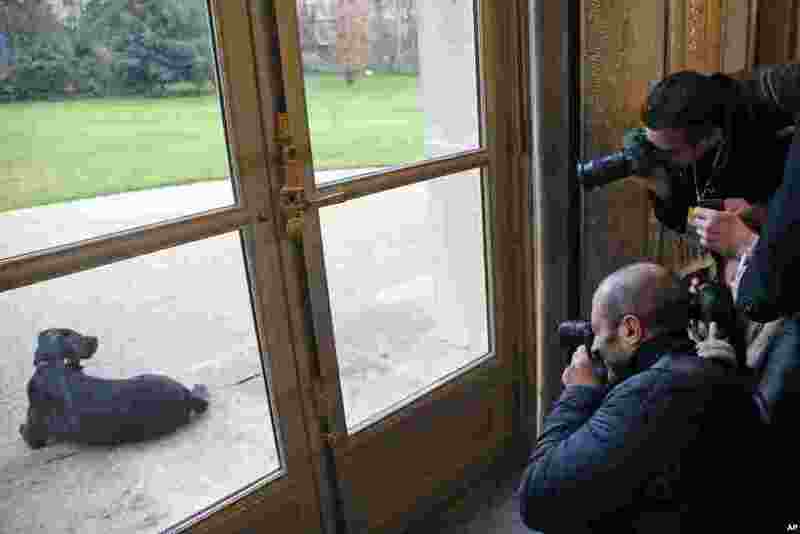 6 Photographers take a picture of French President Emmanuel Macron's dog Nemo through a glass door at the Elysee Palace in Paris, France. 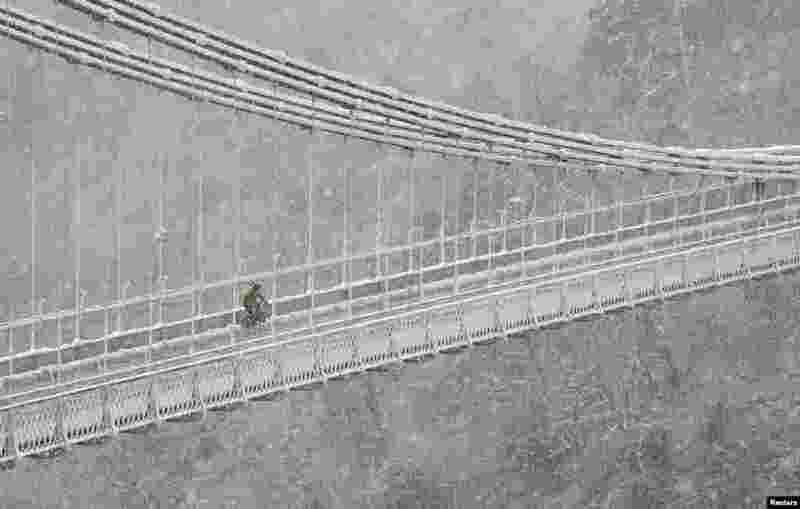 7 A person cycles over the Clifton Suspension Bridge and Avon Gorge in Bristol during snowfall in southwest Britain. 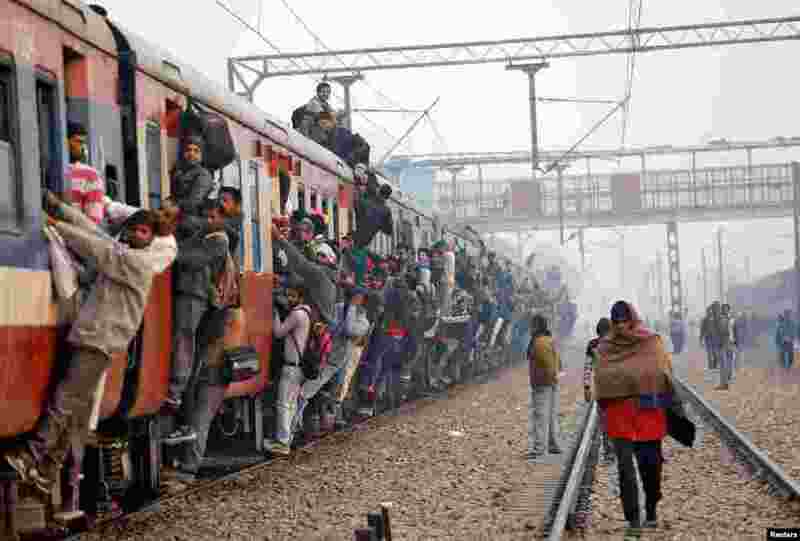 8 Commuters travel in an overcrowded train near a railway station in Ghaziabad, on the outskirts of New Delhi, India.